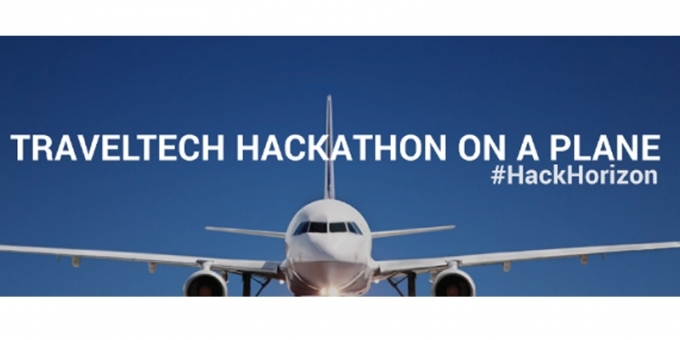 Langley, U.K., 2017-May-07 — /Travel PR News/ — Travelport (NYSE: TVPT), today announced its sponsorship and involvement of the unique Hack Horizon hackathon which will give 32 participants exclusive access to its technology whilst on a flight from Hong Kong to London. Hack Horizon is the brainchild of four globe-trotting and entrepreneurial millennials based in London and Hong Kong. They connected because of their belief in the power of technology and its ability to change and radically improve traditional industries. Having organised and participated in over 40 hackathons around the world between them, they wanted to take the hackathon model and apply it to the travel industry in a way that could have a long lasting, positive impact. The team joined forces at the start of 2016 to galvanize the Asia-Pacific startup ecosystem and bring together industry innovators that had the ability to re-think and improve the travel experience for millions of people. The first Hack Horizon will take place from 5th May – 8th May on a journey between Hong Kong and London. The hackathon will take place in numerous locations and on various modes of transport. The project is supported by leaders in the travel and transport arena including British Airways, London Heathrow Airport, Hong Kong International Airport, MTR, Transport for London, SITA, Travel Weekly Magazine, HKUST, Fresco Capital and Design Thinking Asia. * What is a hackathon? The word hackathon is a portmanteau of the words hack and marathon, where hack is used in the sense of playful, exploratory programming. A hackathon is an intense and collaborative event where computer programmers, designers, engineers, and product managers come together to rapidly design and build new Minimum Viable Products using software. This entry was posted in Adventure Travel, Airlines, Airports, Entertainment, Flights, Hospitality, Recreation, Tour Operators, Transportation, Travel, Travel Apps, Travel Marketing, Travel Services, Travel Tech, Travel Tips & Info, Travelers, Trips and tagged API, Hack Horizon, Hackathon, Kostadin Kolev, Matt Minetola, Travelport, Travelport Trip Services, TravelTech. Bookmark the permalink.